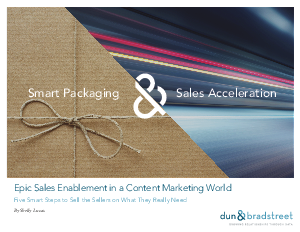 > Dun & Bradstreet > Tired of Sales Reps Ignoring Your Sales Enablement Content? You know your content is engaging and relevant. Now persuade salespeople to think the same. Start selling the sellers on the content they really need to close deals today!